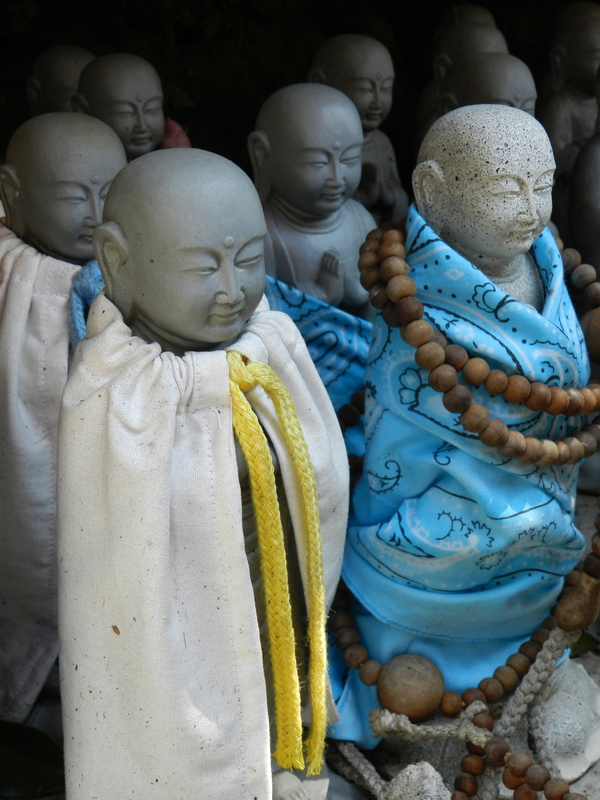 This entry was posted in Culture, Moving to Japan and tagged Amblerangel, Children, Culture, Culture Lesson, Emily Cannell, ExPat, Family, Hey From Japan- Notes on Moving, Japan, Moving, Taya caverns, Tokyo, Yokohama. Bookmark the permalink. I am very happy to got on these virtual (to me) travels with you! Keep them coming. Thanks Linda! I`ve got about 10,000 photos to share….. Very touching. 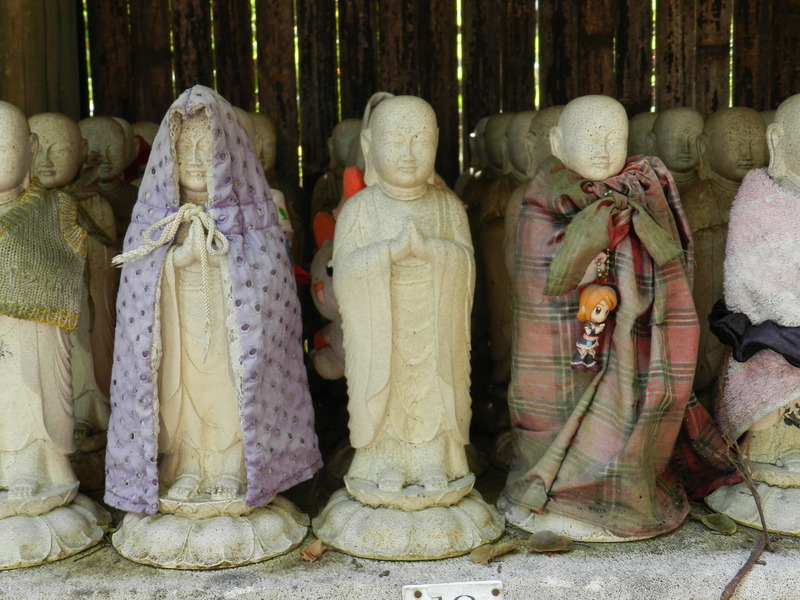 I remember thinking the same thought about the statues lining walkways in Japan with red velvet capes tied to them, living in a mossy, verdant place. Thanks for the memory leap. It’s now been over 20 years since I lived in Japan. So many memories. Hope you are well. These statues are so touching. Are they placed in this cavern by the child’s family as a kind of memorial? 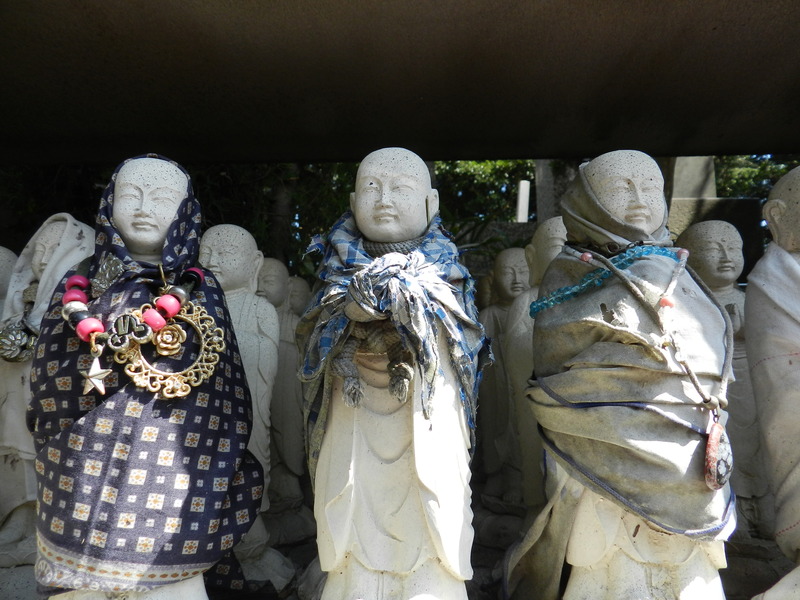 Yes- and for prayers/ offerings from the dieties that reside at that shrine. 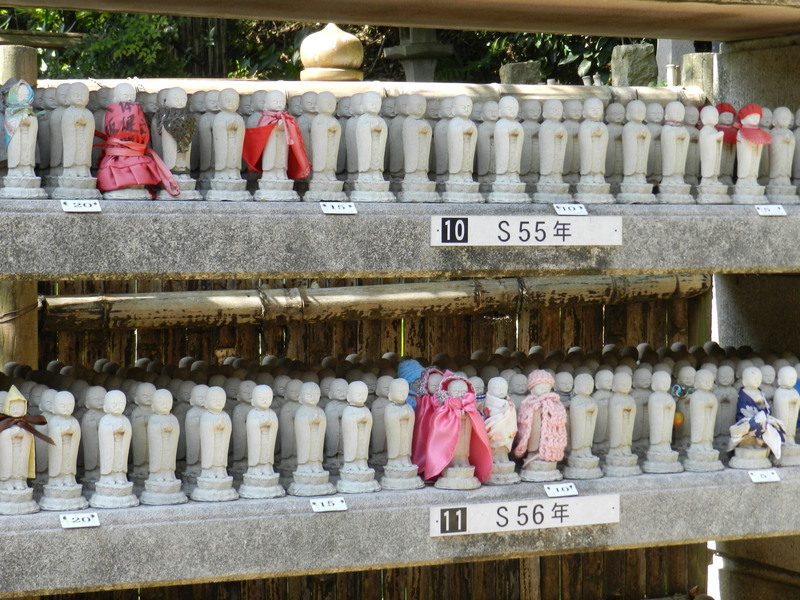 There are a few scattered through out Japan- one in Kamakura has toys- I find that one the most heart wrenching. 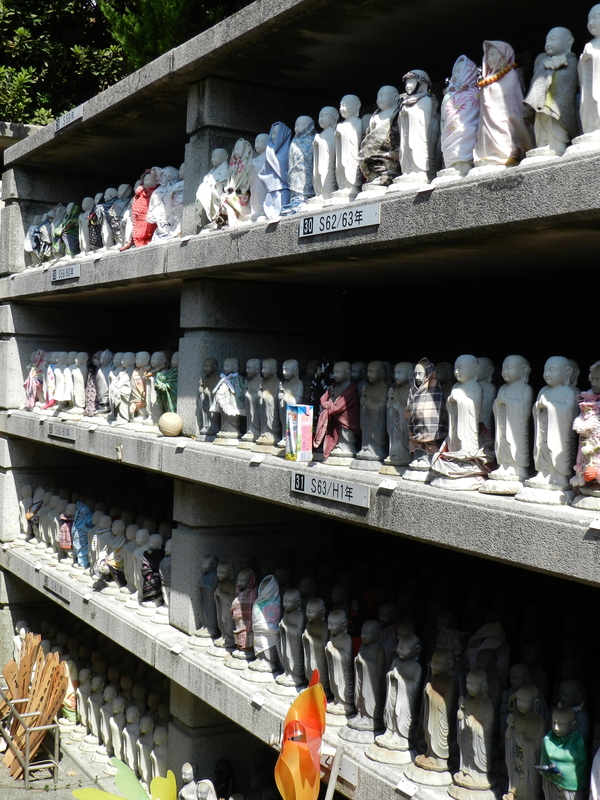 Shrines usually have a specific “theme” they are known for- so people will travel to them for that particular reason.